This place has been one of my favorites since its grand opening a few months ago. Whether you are trying their fried quail and hotcakes or the bacon crab stack, my personal favorites, the perfect accent to any meal at The General Public are their $1 mimosas. Besides having exceptional food, this trendy Upper Kirby restaurants makes frozen mimosas that will keep you coming back time and time again. Although slightly pricey, the atmosphere and delectable cuisine are exactly what you have come to expect from restaurants in the Johnny Carrabba’s chain. This place was recommended several times before I had the opportunity to finally make it to their La Centerra location. And let me be honest, I am absolutely addicted to their brisket stuffed sweet potato and smoked Gouda grits. Even though most of us probably know of this fabulous hotel for its upscale accommodations and infamous Trellis Spa, their Center Court Restaurant might have some of the best breakfast omelets in the city. 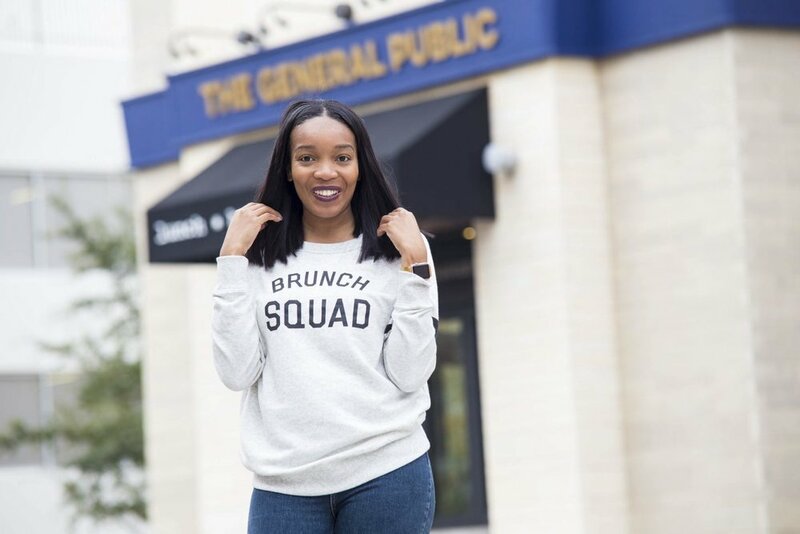 This restaurant is still sitting on my list of must try brunches, but I’ve heard nothing but rave reviews, and their brunch menu has enough options for even the pickiest foodie. What are some of your favorite brunch spots in and around the city of Houston? P.S. Sometimes you just need to get away, from your house, that is. Let Tonia help you put together the perfect staycation for you to vacay in your own city. Whether it’s an overnight stay with your girls, your spouse, or a solo trip, Travels by Tonia will plan your staycation from start to finish. Who said you had to leave your home city to still have a rejuvenating vacation? Click here and you will hear back from a representative within the next 24-48 hours to begin your destination planning.